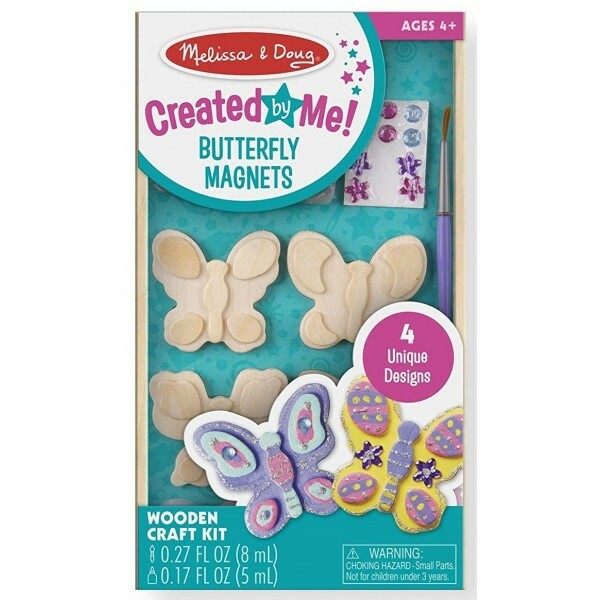 Decorate four wooden butterfly magnets in this kit from Melissa and Doug! 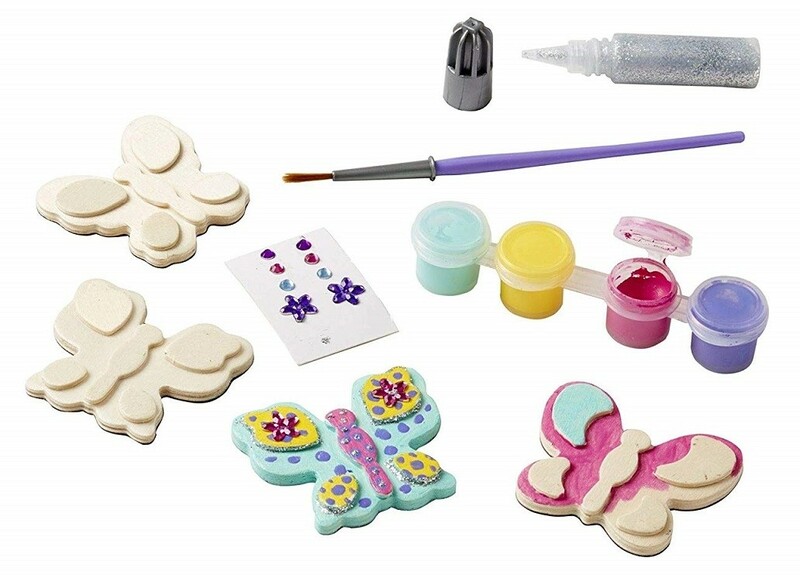 This all inclusive craft kit has four unique butterfly designs for you to bring to life. Using the included paint, stickers, glitter glue, and glittering gems, you can follow the instructions to gorgeous designs. 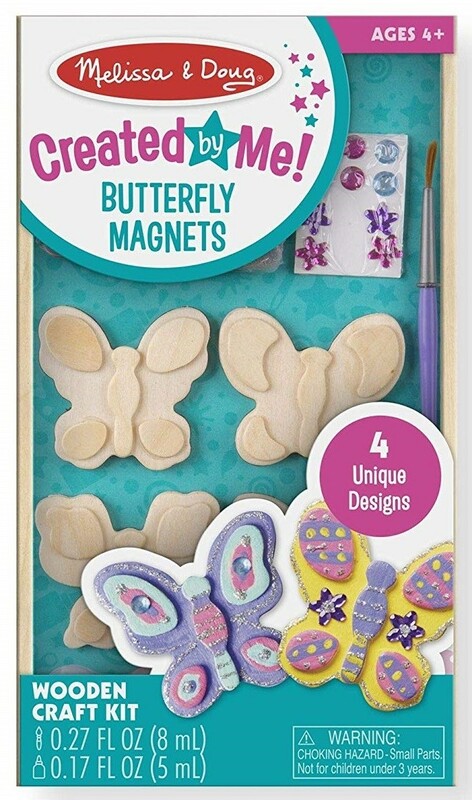 Once they are dry, the magnets are perfect as characters for magnet-board pretend play, lovely gifts for friends and family, or pretty decorations for the fridge.